You can watch Haven online via TV Fanatic. We have given you multiple opportunities to watch Haven Season 5 Episode 4 online, so click now and enjoy! On Haven Season 5 Episode 4 the gang once again makes a run at Mara to try to release Audrey from her shell. Duke gets a hella funny Trouble for a sad reason as Mara acts as if she can cure the Troubles, but nobody really knows for sure that she can do any such thing. If she can, she doesn't do a very good job of it and Spotlight Judy was transformed into a walking microwave. That didn't work out very well for anyone around her, that's for sure. Find out exactly what happens on this episode of Haven when you watch Haven online. 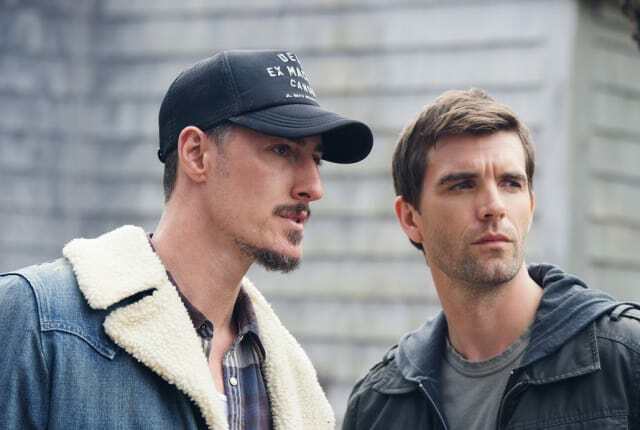 Dwight and Nathan argue over what to do about Mara when Dwight wants to end things at any cost on Haven.